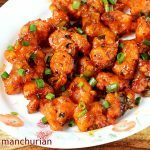 Gobi manchurian recipe – Make the best super delicious & crispy gobi manchurian at home with this simple recipe. 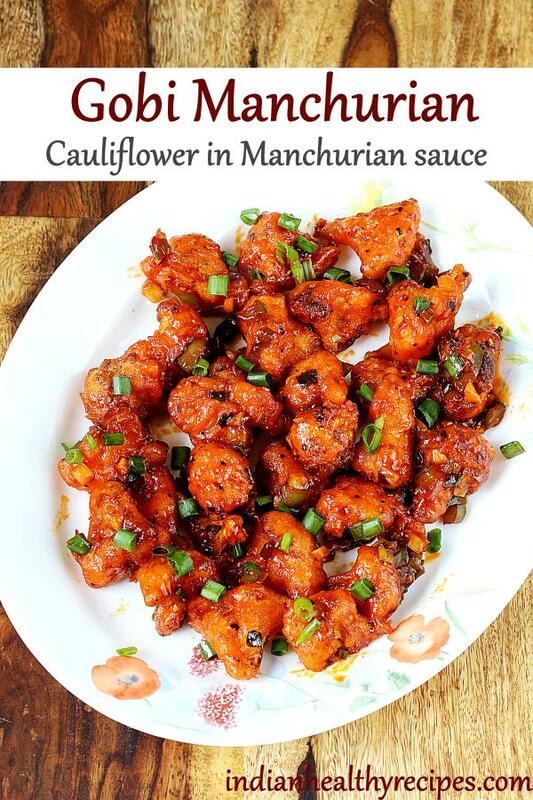 Cauliflower manchurian is one of the most popular manchurian dishes from Indo chinese cuisine. 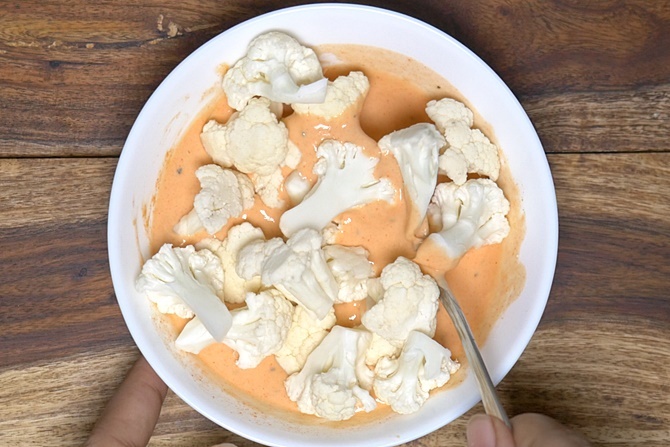 Gobi means cauliflower in hindi & manchurian is a sweet, tangy & slightly spicy sauce made with chilli sauce, vinegar, ginger & garlic. This delicious crisp fried appetizer is very popular in Indian subcontinent. It makes its appearance everywhere in street stalls, restaurants and even in parties. Gobi manchurian is not an authentic Chinese dish nor a manchu dish but is a fusion of both the Indian & Chinese cuisine. If you are new to Indo chinese cuisine then read on to know more. Gobi Manchurian is a popular Indo Chinese appetizer made with cauliflower, corn flour, soya sauce, vinegar, chilli sauce, ginger & garlic. 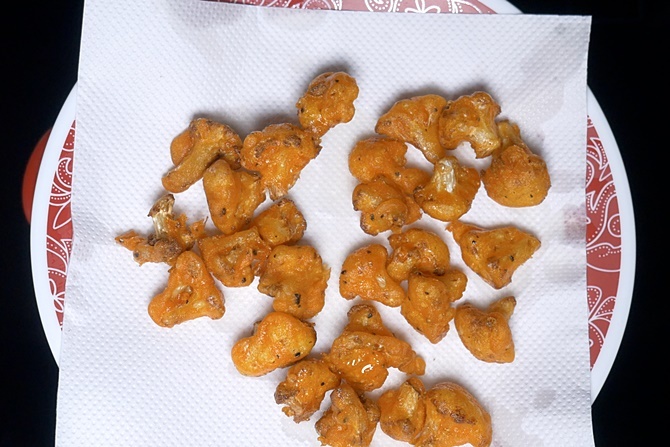 To make gobi manchurian, cauliflower is first coated in batter & then deep fried until crisp. Then these are tossed in sweet, sour and hot manchurian sauce. Though a manchurian recipe can be made using chicken, mixed vegetable, soya chunks, fish etc – this one made with cauliflower has very much been loved and raved by most Indians. The aroma and taste of fried cauliflower makes gobi manchurian a unique & super delicious appetizer. There are 2 variations of gobi Manchurian – first one is a dry or a semi dry version & the second one a gravy version. Which one tastes best – dry or gravy gobi manchurian? My vote is for the dry or semi dry version of gobi manchurian. It is tasty & is much healthier than the gravy version. The major ingredient used to make the gravy is the corn starch which I always prefer to minimize. Moreover the gravy version also needs more amounts of soya sauce and chilli sauce which I don’t opt. Over all it is a personal choice. 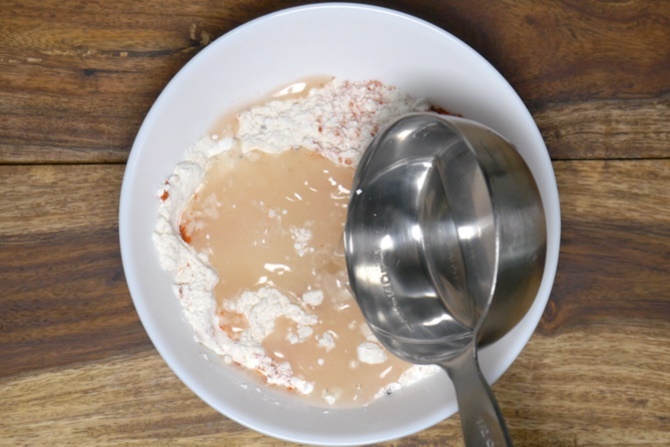 In this post I have included instructions for all the 3 versions – dry, semi dry & gravy versions. In the video I have shared how to make dry crispy gobi manchurian without using corn starch for the manchurian sauce. 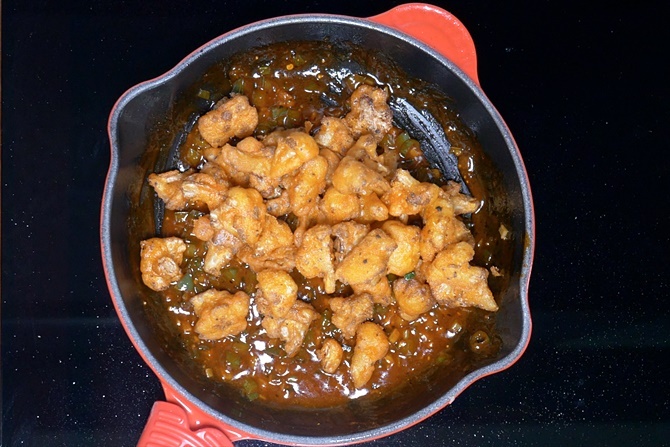 What to serve with gobi manchurian? 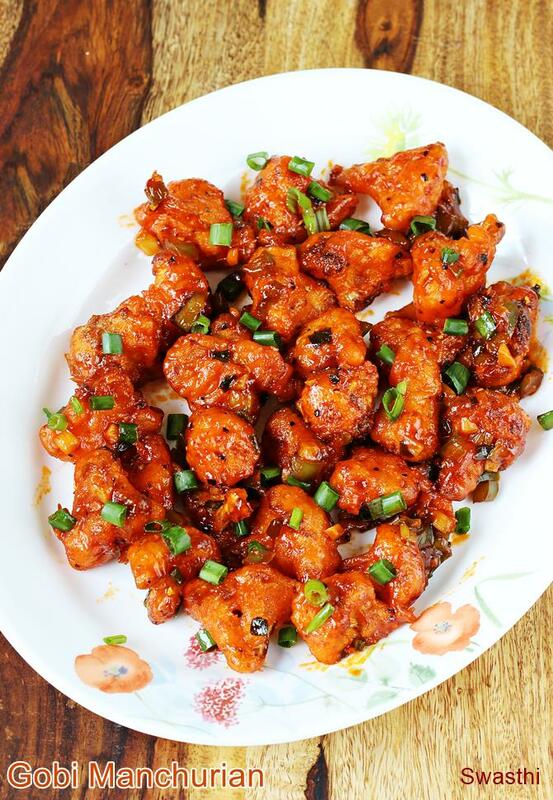 Dry gobi Manchurian is served as a starter or appetizer so you don’t need anything else. It has a right balance of slightly spicy, sour & sweet tastes so it tastes amazingly delicious on its own. However if you are making it for a meal. Serve it alongside hakka noodles or fried rice . Gobi manchurian gravy can be served as a side with any noodles, fried rice or even with plain fluffy long grain rice. How to make the recipe glutenfree? For gluten free version just replace all purpose flour with corn flour or arrowroot powder. Use gluten free sauces. 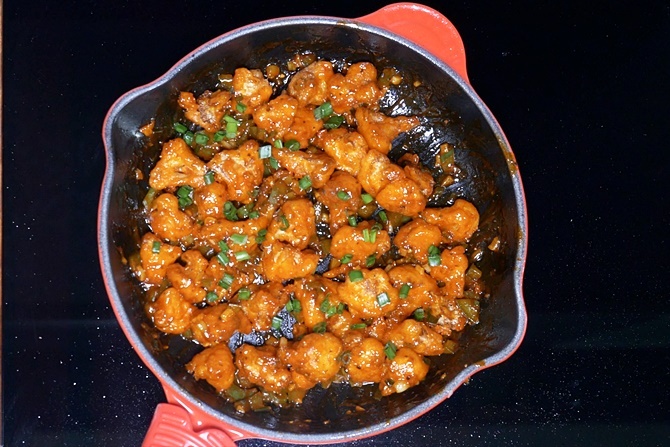 Cauliflower or Gobi manchurian is made by tossing crisp fried cauliflower is slightly sour, sweet & hot manchurian sauce. 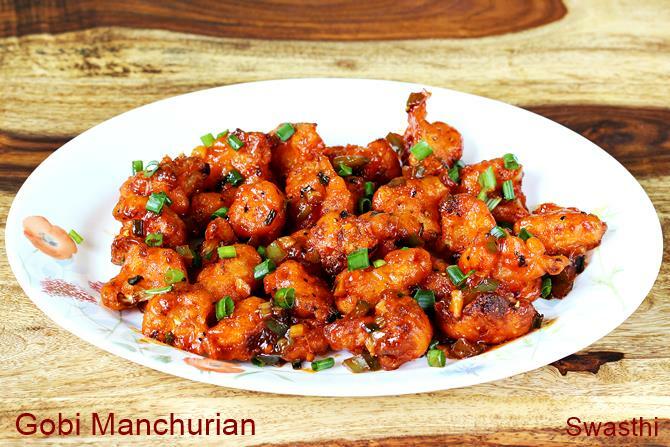 Gobi manchurian can be served as a starter or as a side with noodles or fried rice. 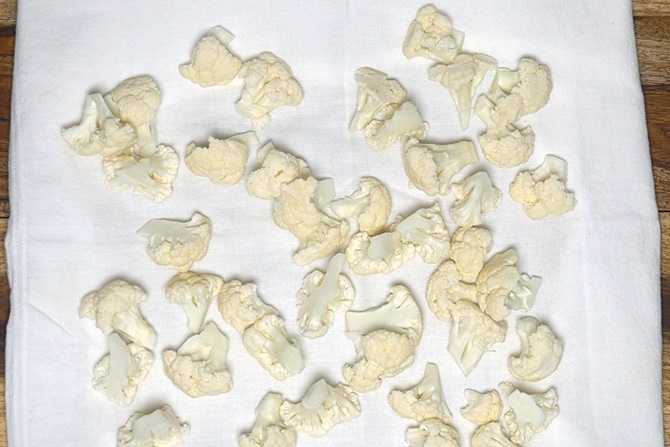 Clean gobi and cut the florets to medium size. Add them to hot water and rest for 5 minutes. Drain completely and spread on a clean cloth until no moisture remains on the gobi. Heat up the oil for deep frying on a medium heat. Meanwhile make the batter by adding corn flour, plain flour, red chilli powder, pepper and salt to a mixing bowl. Mix and add water little by little as needed and make a free flowing lump free batter. The consistency has to be medium and not too thick or very runny. Adjust salt as needed by tasting the batter. Add the gobi florets to the batter in batches, coat them well. When the oil turns hot enough, gently slide the florets one by one in the oil. The flame has to be medium initially and should be increased slightly as more gobi is added. 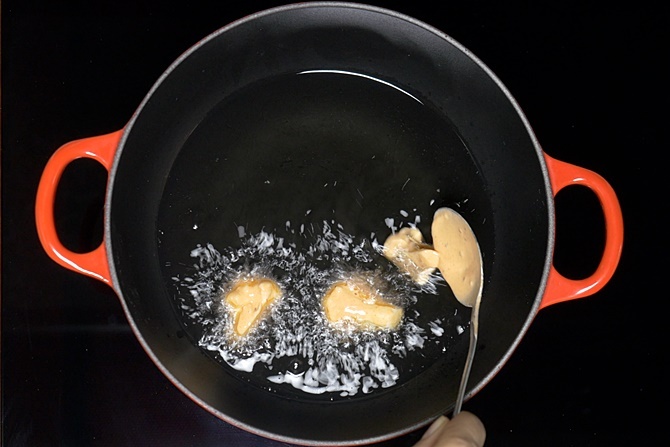 Reduce the flame to medium and fry until the florets turn golden and crisp. Keep stirring in between for even frying. Drain them to a kitchen tissue. 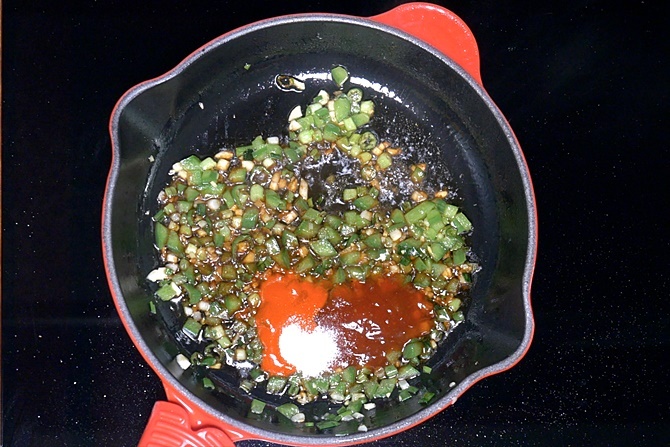 Mix together red chili powder with little water to a paste and keep aside. 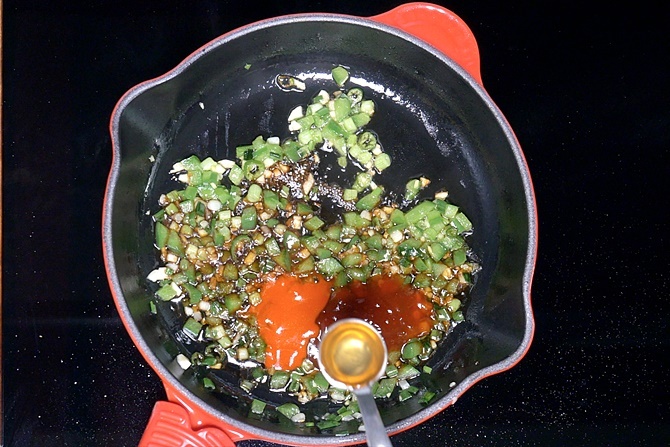 Heat oil in a wide pan and add garlic, ginger and chillies. Saute for a minute or two. Then add spring onions & capsicum. Saute them on a high flame for 2 mins. Mix and add water. Mix and cook stirring and add pepper. Cook on a medium heat until the sauce thickens. Turn off the stove and check the taste. The sauce has to be slightly sour, sweet & hot. If needed you can adjust the salt as well. Allow the sauce to cool for 1 to 2 mins. Add the fried cauliflower and stir. Garnish gobi manchurian with spring onions. Serve immediately. Double the amount of chilli sauce, red chilli powder,sugar, vinegar and tomato sauce. Mix 1 tsp corn flour with half cup water. 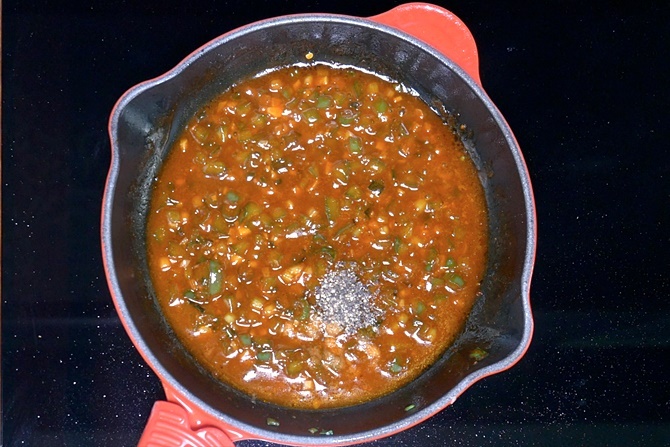 Stir in to the bubbling sauces. Taste and adjust the sweet, spice & tang. 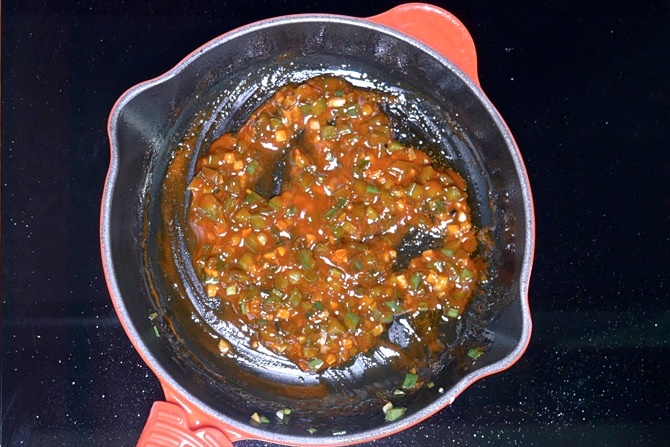 Mix ¾ tbsp corn flour with 1 cup of water and stir in to the bubbling sauces. 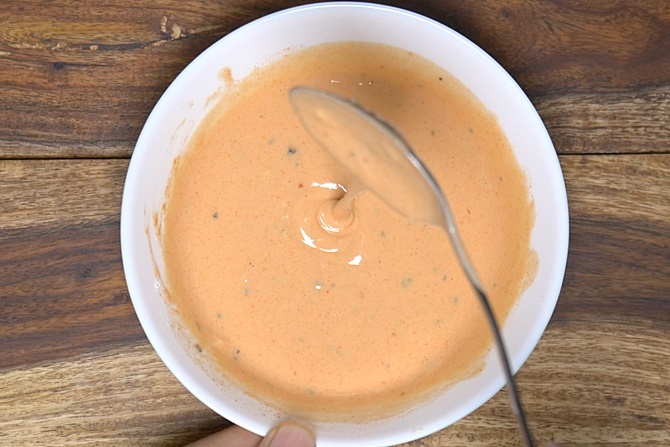 Taste the sauce when it thickens and adjust the sweet, spice & tang. Please adjust the amount of chilli powder as needed. I use a low heat chilli powder. Some readers mentioned it turned out too spicy for them. You can totally skip the chilli powder in the seasoning as it is used only for color. Since cauliflower is fried for long time, for health reasons discard the used oil and do not reuse it. 1. 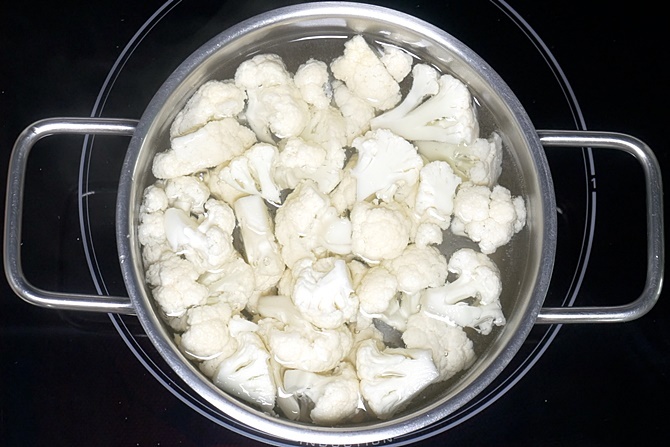 Clean cauliflower florets and add them to hot water, not to very hot or boiling water. Rest them for 3 to 5 mins. Discard the water and rinse them well few times. Drain them to a colander. Allow the water to drain completely. 2. Spread them on a clean cotton cloth or a wide colander. Air dry for sometime. This is done to remove excess moisture after washing. I usually leave them in a wide basket colander for sometime. 3. Begin to heat oil in a kadai on a medium flame. Meanwhile prepare the batter. 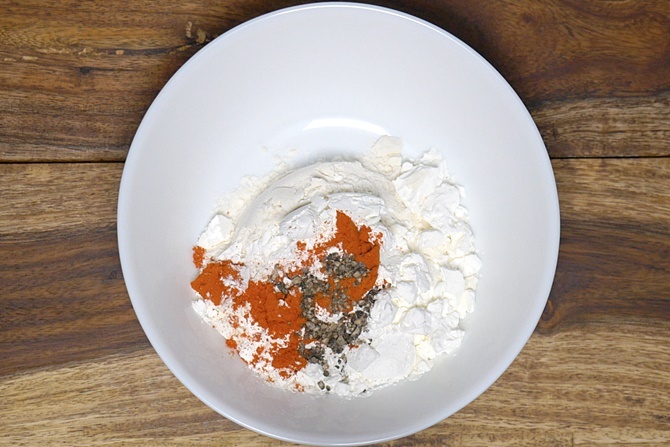 To a large mixing bowl, add plain flour/ maida, corn flour, red chilli powder, salt and pepper. Mix. 4. Add water as needed and make a free flowing batter. 5. The batter must be smooth, free flowing and thick. It should not be runny or too thick. Check the salt, if needed add more. 6. 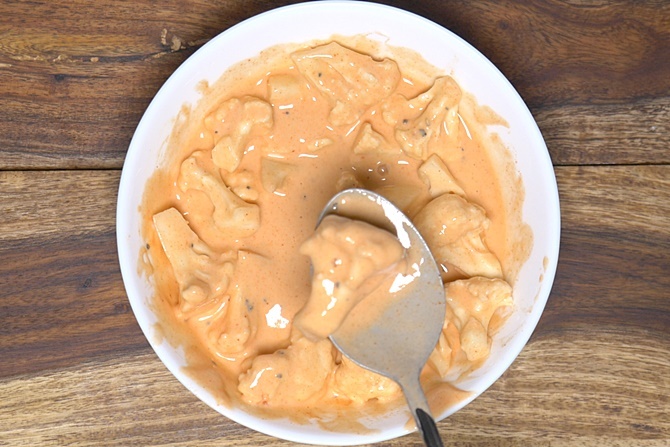 Add gobi to this batter and coat them well. 7. Check if the oil is hot enough and pick up the florets one by one and gently slide in hot oil. 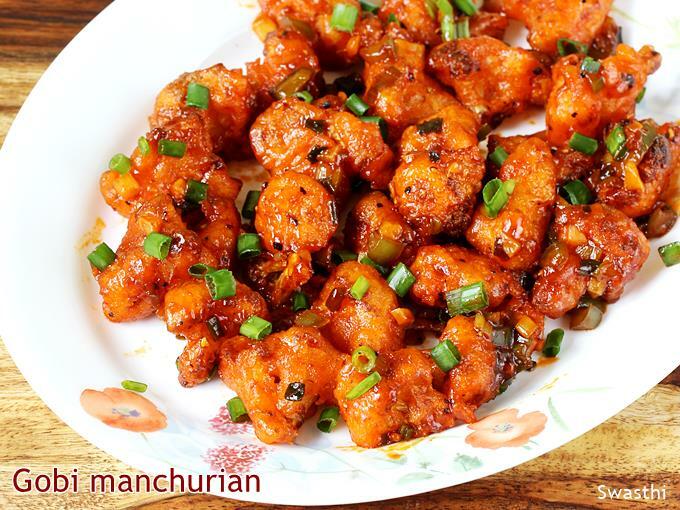 How to make crispy gobi manchurian? 8. This two step guide will help you to make perfect crunchy fried gobi. Make sure the flame is medium when you begin to add the florets and the oil is hot. 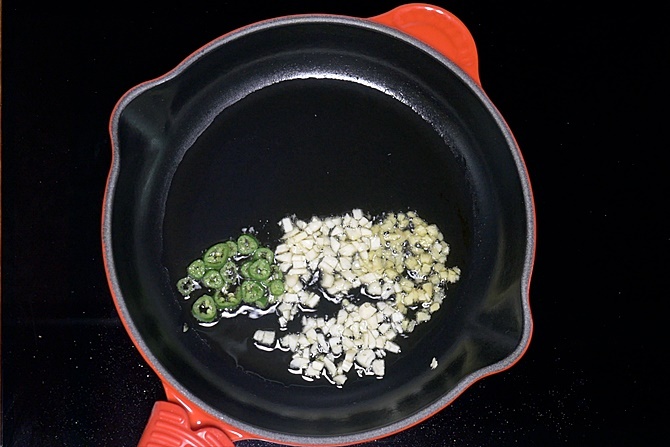 Gradually as you add more florets to the pan, slightly increase the flame to maintain the temperature. 9. 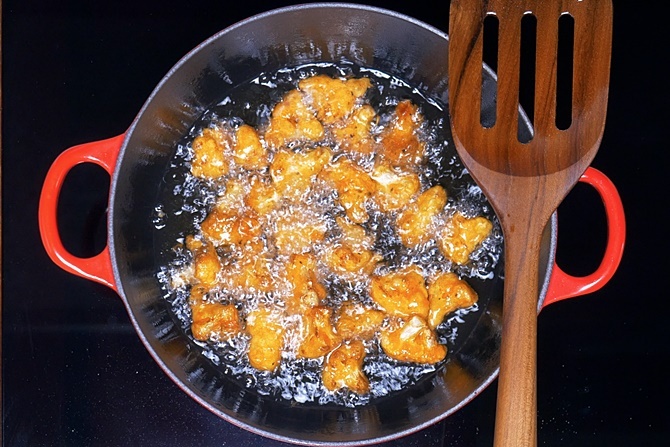 Once you finish adding the florets, regulate the flame to medium again and keep frying stirring often. At one point you will see that the bubbles begin to seize or at least reduce, then put the flame to low and allow them to fry for 2 to 3 mins without burning. During this 2 to 3 mins you have to keep stirring without stopping else they may get burnt. 10. The above 2 steps give the same effect of double frying the gobi which is usually done in restaurants. Remove them when they are golden. 11. Drain them on a kitchen tissue. 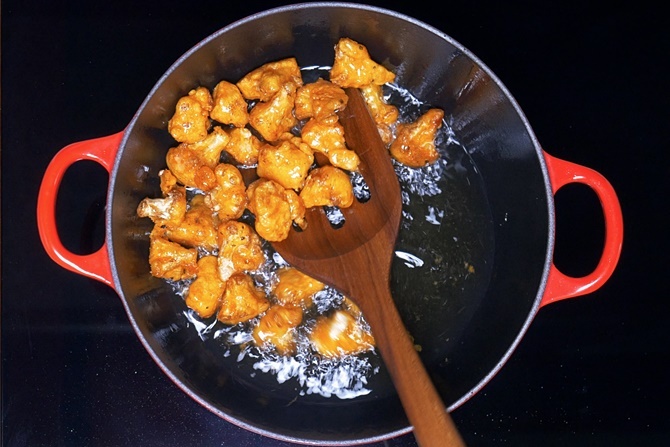 This recipe requires frying gobi for longer time, the oil is no longer good to use. Just discard it. 12. 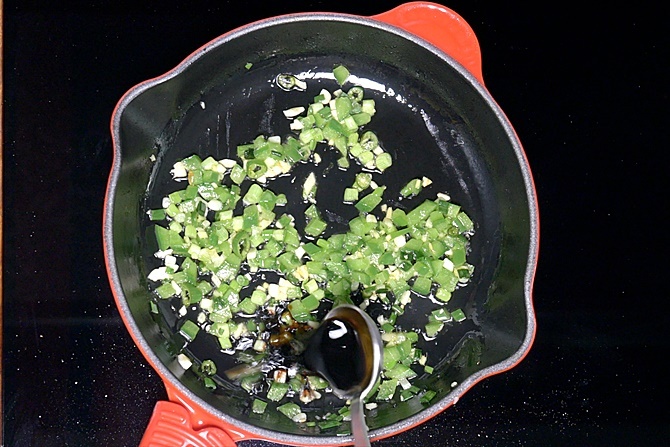 Add 1 ½ tbsp fresh oil in a wide pan or wok and heat it. 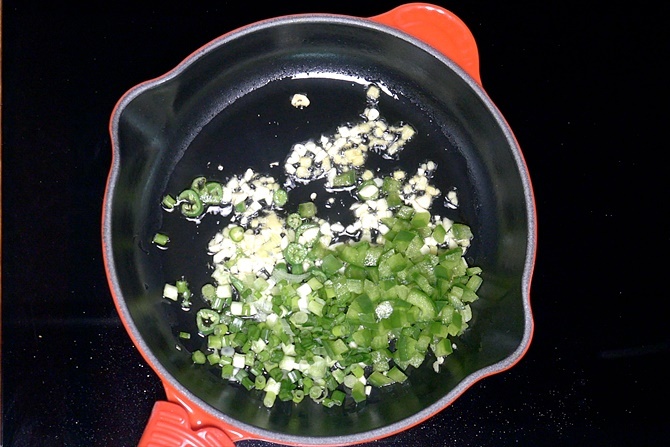 Add garlic, ginger and green chilies. Saute them well for 1 to 2 mins. Do not over fry as it makes the manchurian bitter. 13. Add onions or spring onions and capsicum. Even onion works well here. Finely chopped capsicum lends a very good flavor to the sauce. Saute this for 1 to 2 mins. 14. Add soya sauce. Prefer organic or at least naturally brewed soya sauce for health reasons. 15. Add red chilli sauce, red chilli paste and vinegar. To make red chilli paste, mix chilli powder with little water. Do not add dry powder to the pan, this may make the sauce bitter. 18. Pour 3 tbsps of water. 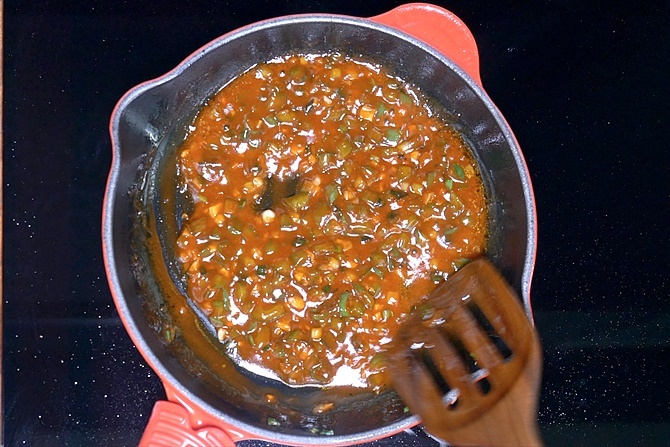 Mix it very well and allow to cook on a low heat until the sauce thickens. Red chilli sauce has already starch added to it so as we add water and cook it turns saucy. 19. Add coarsely crushed pepper. When the sauce turns thick turn off the stove and allow to cool down a bit. Just for 2 mins. Taste the sauce. It has to be slightly sour, sweet & hot. If needed you can adjust the salt, vinegar and red chilli sauce as well. I have not used any extra sauce than mentioned in the recipe card. 20. Add fried gobi, just before serving. Toss well. 21. Garnish with spring onions. Serve gobi manchurian as a appetizer or a side with fried rice or noodles.